August 7, 2014 (Reuters) - A Philadelphia archaeology museum said on Tuesday its researchers have discovered an extremely rare 6,500-year-old human skeleton in its own basement, where it had been in storage for 85 years. 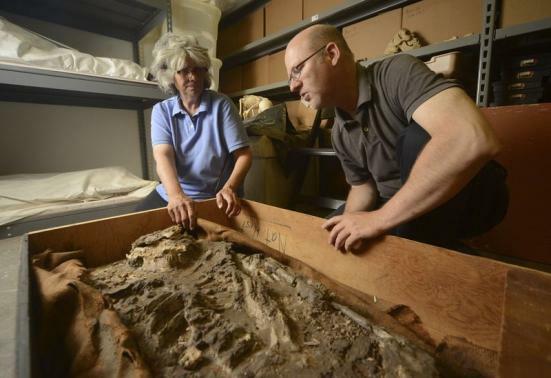 The Penn Museum, affiliated with the University of Pennsylvania, said it had lost track of all documentation for the skeleton which dates to roughly 4500 BC. But the paperwork turned up this summer, as part of a project to digitize old records from a 1922-1934 joint expedition by the British Museum and the Penn Museum to modern-day Iraq. Woolley's records indicated that he had shipped a skeleton over, and the team digitizing his records had uncovered pictures of the excavation, which showed the skeleton being removed from its grave. A researcher on the digitization project, William Hafford, mentioned the records to Janet Monge, the museum' chief curator. Woolley's team uncovered the remains 40 feet (12 meters) below the ground, beneath the remains from the cemetery itself, which dates to 2500 BC. The body was found in a deep layer of silt that archaeologists believe was left over from a massive flood. The remains indicate they are those of a well-muscled man who died at 50 and would have stood approximately 5-feet, 10-inches (1.78 meters) tall. The museum has named him Noah. 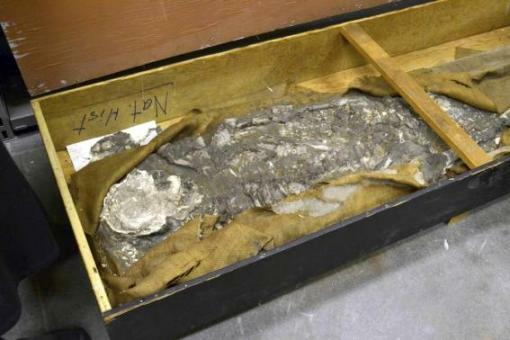 The museum said the discovery has important implications for current research. Scientific techniques that were not available at the time of the expedition could give scholars new insights into diet, ancestral origins, trauma, stress and disease from the time period, which the museum says is poorly understood. Intact skeletons from this era are rare. While the museum has other remains from ancient Ur, about 10 miles (16 km) from Nassiriya in southern Iraq, "Noah" is about 2,000 years older than any remains uncovered during the excavation at the site, it said. 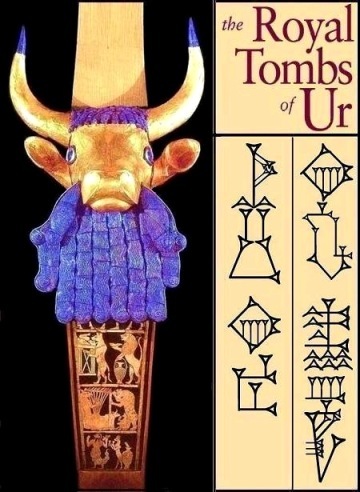 Ur (Sumerian: Urim) was an important Sumerian city-state in ancient Mesopotamia, located at the site of modern Tell el-Muqayyar in south Iraq's Dhi Qar Governorate. Although Ur was once a coastal city near the mouth of the Euphrates on the Persian Gulf, the coastline has shifted and the city is now well inland, south of the Euphrates on its right bank, 16 kilometres (9.9 mi) from Nasiriyah. From 1922 to 1934, an archaeologist named C. Leonard Woolley excavated the site of the ancient Sumerian city of Ur. He made many great discoveries about the people who lived there. Among the 1800 graves he discovered, there were 16 tombs which had very special and valuable objects in them. He called them the 'Royal tombs'.